Think of this as your personal investment toolkit - packed with step-by-step instructions, worksheets to organize your assets, and sure-fire secrets to making money. You'll learn the fastest ways to supercharge your portfolio and make the most of whatever assets you have. You'll discover how to build cash in your own Wealth Account, scout out new opportunities, and invest in a wide range of asset classes through direct-asset allocation. Subjects include defying gender myths about wealth building, designing a blueprint to financial freedom, creating and protecting your family's wealth, and teaching your kids how to create prosperity. The strongest energy always wins. That's it! That's the key to moving from your current situation, any situation, into the life you've always wanted. Yes! Energy presents the power of the "Energy Equation," which you can employ to attract abundance to all areas of your life. 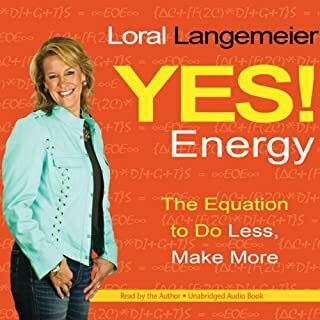 Best-selling author and entrepreneurial speaker Loral Langemeier developed this simple and straightforward methodology, which is revealed explicitly in these pages, because she needed it herself. Loral Langemeier, The Millionaire Maker, wants you to know that you can have it all using a proven system of Wealth Technology. Eliminate credit-card debt while creating cash flow. Build your Wealth Cycles and get out of debt and lifestyle cycles. Maximize profits on your real-estate investments. Finally have true and lasting financial freedom. The Millionaire Maker, Loral Langemeier, will take you there! Loral Langemeier, The Millionaire Maker, has created a proven system of Wealth Technology. Reduce risk and diversify your portfolio strategically to increase profits. You will learn the fundamental profit strategy of Field Partners, Remarketing Your Property, Property Acquisition, and Creative Deal Structuring in this powerful four-part series on real-estate investing. Discover the secret to creating the life you really want to live. Find out how to live the life you have always dreamed of and get what you want out of life. This audio program includes discussions on real-estate investing, a wealth mindset, and the tools to build a successful real-estate business! You CAN have it all! Not Impressive for Real estate brokers! 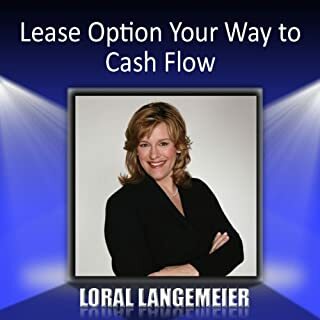 Loral Langemeier, The Millionaire Maker, wants you to know that you can have it all using a proven system of Wealth Technology. Eliminate credit-card debt while creating cash flow. Build your Wealth Cycles and get out of debt and lifestyle cycles. Reduce risk and diversify your portfolio strategically to increase profits. Finally have true and lasting financial freedom. The Millionaire Maker, Loral Langemeier, will take you there! There is not a lot of real content here - it's mostly a promise of what you'll get if you sign up for the Live Out Loud program, which I understand costs thousands of dollars. However, this is a low-cost glimpse into that world (although it should have been free, given that it's an infomercial). This was a fantastic book getting to the basics of getting started to know where you are and get where you are going. It IS applicable for men and woman. A must listen to at least 3 times as you will hear more each time you listen to it.